The big news is that Chuck Berry embarks on another European Tour, that kicks off today. He will perform in Russia, Italy, Finland and Norway. Several of the shows, which have been on sale for months, are sold out by now. Europe welcomes once again Mr. Rock'n'Roll. 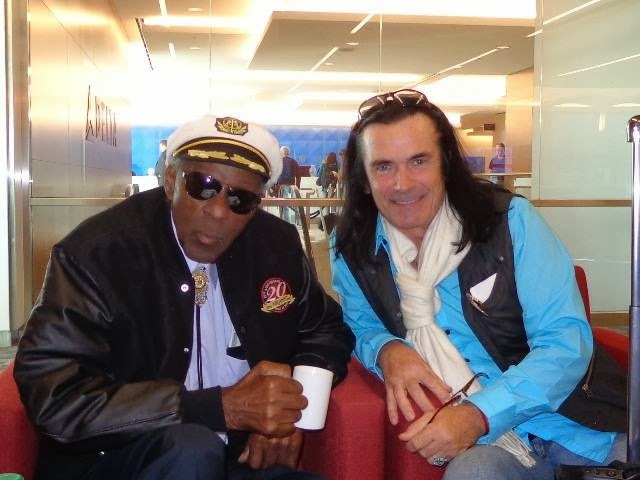 Chuck Berry will be accompanied by his St. Louis Band with the exception of Keith Robinson, who is unable to make the tour and who will be replaced by Jean-Michel Biger, and Darlin Ingrid Berry, who has just become a grandmother and therefore remains home, taking care of her family. Legendary artists have recently celebrated their birthdays. the Jerry Lee Lewis Cafe & Honky Tonk.